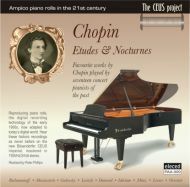 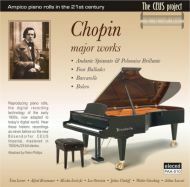 Nine Etudes & ten Nocturnes by Chopin, with a total playing time of 73:37. 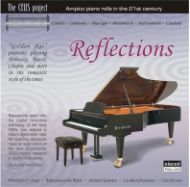 13 tracks in MP3 format, with a total playing time of 71:36. 16 tracks in MP3 format with a total playing time of 74:42. 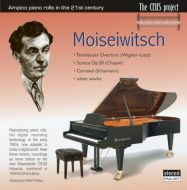 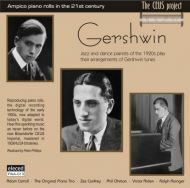 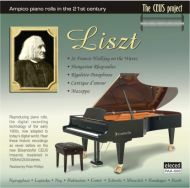 11 tracks of music by Liszt in MP3 format with a total playing time of 75:18. 17tracks of rarely heard music in MP3 format with a total playing time of 77:32. 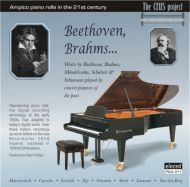 17 tracks in MP3 format with a total playing time of 73:03. 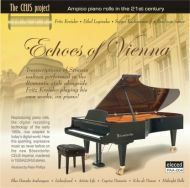 17 tracks in MP3 format with a total playing time of 76:22. 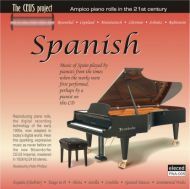 19 tracks of Spanish music in MP3 format with a total playing time of 66:45.